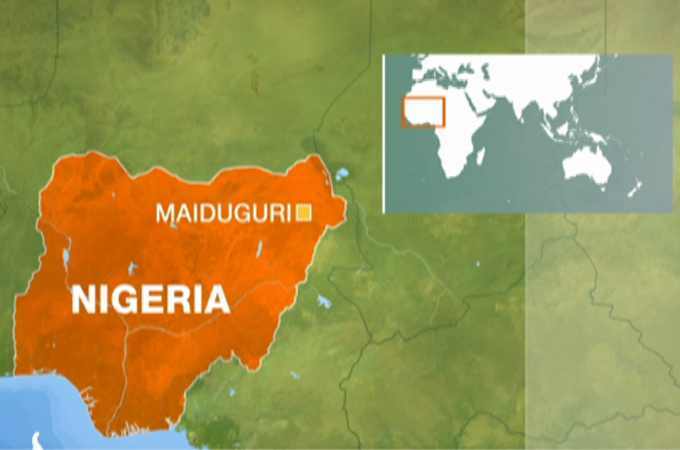 Three suicide bombers killed eight people in the northeastern Nigerian city of Maiduguri Saturday morning, according to Lagos-based Channels TV. The attack happened hours after the nation delayed by a week a general election scheduled for the same day. Suspected militants of the Boko Haram Islamist group entered a mosque with guns and explosives strapped to their bodies at about 5:40 a.m., Channels reported, citing a police spokesman. Maiduguri is the capital of Borno state, the epicentre of Boko Haram’s decade-long insurgency to impose its version of Shariah law on Nigeria. The city has mostly been secure in recent months, even as Boko Haram and a breakaway faction affiliated to Islamic State have wreaked havoc in the rest of Borno.